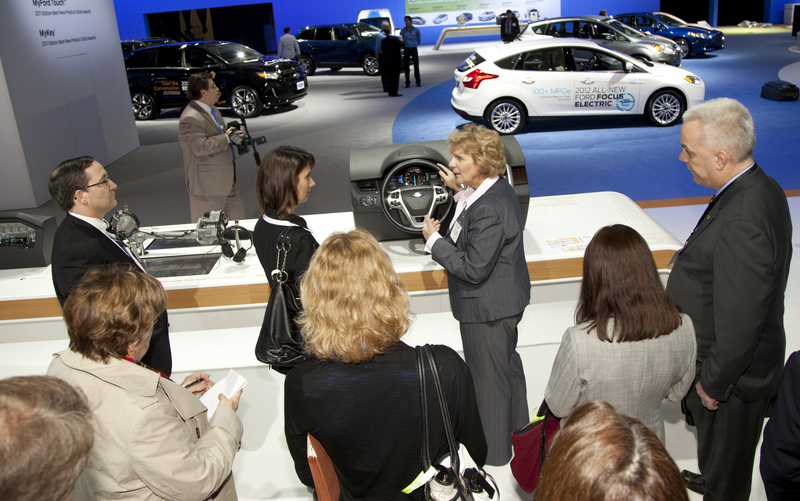 Today, I visited the Washington Auto Show, which features more than 700 vehicles from 42 manufacturers. I visited with engineers, executives, and designers from Ford, Chrysler, BMW, Kia, Honda, Hyundai, and Toyota to learn about the safety features on their vehicles. Of particular interest — especially after the NTSB’s recent call for a nationwide ban on motor vehicle driver use of portable electronic devices — was seeing how the manufacturers are integrating technology, including phones, entertainment, and navigation systems into automobiles. I had the opportunity to meet with Sue Cischke, Group Vice President for Sustainability, Environment and Safety Engineering at Ford Motor Company. Sue retires next week after a 36-year automotive career. I asked her what safety changes she had seen over the course of her career. Her response: It used to be that automobile safety improvements were passive and reactive; seat belts and air bags protected occupants after a crash. Now, she says, manufacturers are making active and aggressive safety improvements to prevent crashes. She added that even with all of the advances in technology over the last three decades, the seat belt is still the biggest lifesaver. Over the last 35 years, the NTSB has issued many safety recommendations, NHTSA has implemented new standards and requirements, and manufacturers have improved vehicle safety. Today, we see technology assisting drivers to get more information and enhancing the safety performance of vehicles; examples include lane departure and forward collision warning systems, electronic stability control systems, and more, which I’ve written about on this blog and spoken about as well. With more than 30,000 fatalities on our roadways each year, there is so much more that can be done to prevent that high death toll. It is exciting to see the list of safety enhancements grow every year at the auto show as new model-year vehicles are previewed. I look forward to seeing even more being done to improve safety in the future. With our core mission to investigate transportation accidents, the NTSB also can help enhance safety by showing others what we do and how we do it — before accidents happen. That way, people are not learning about our role under the fast and often hectic pace of crisis conditions. This advance work makes it easier to explain the depth and breadth of our work and builds relationships in which we can serve as a safety resource. Recently, I had the pleasure of providing New York Congressman Richard Hanna a tour of the NTSB’s laboratories so he could see firsthand some of the data-retrieval and metallurgical work done by our technical experts. Hanna serves on the Transportation and Infrastructure Committee, one of our lead panels of jurisdiction in the U.S. House of Representatives with oversight on aviation, railroads, highways, pipeline safety, and all other modes of transportation. He is a pilot with seaplane and high performance certifications who owns and operates his own aircraft. He also has experience in pipeline construction, having been a contractor in his previous career. 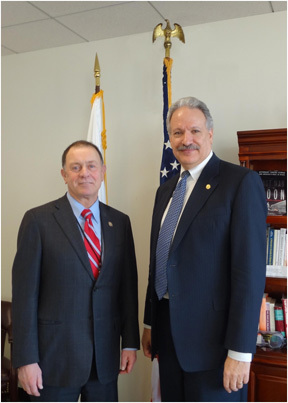 This lawmaker not only has a great personal interest in what the NTSB does, but is also responsible for legislating in areas that directly affect the agency. Joe Kolly, Director of the NTSB’s Office of Research and Engineering, and Jim Cash of the Vehicle Recorder Division led the Congressman through the Materials and Vehicle Recorders Laboratories. These facilities at our Washington headquarters have failure analysis equipment to conduct or coordinate all of the material analysis performed by the NTSB. Data can also be recovered and analyzed from the many types of recording devices in use today. Our lab experts complete about 150 reports a year across all modes. This laboratory work is invaluable to a thorough and accurate understanding of what caused and contributed to accidents, which allows the NTSB to make its safety recommendations. That is the core mission of our work – investigating, understanding, and making recommendations to help prevent future tragic accidents, loss of life, and injuries. Proper child restraint use is one of the most basic and important factors in children surviving a crash, whether in a car or an airplane. 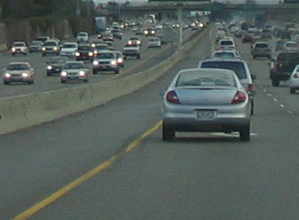 In 2010, the NTSB held a public forum devoted to child passenger safety. 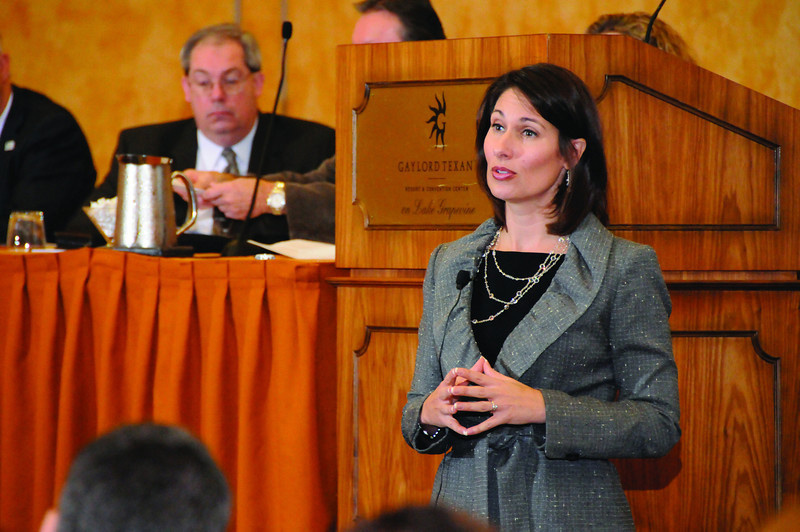 The primary purpose of the forum was to improve child safety in airplanes and in automobiles through education and advocacy aimed toward the caregivers of children and toward the transportation industry. As a result of our accident investigations, the NTSB has recommended that all occupants, including and especially our youngest travelers, should have separate seats and appropriate restraints when they are on airplanes, whether it’s a small privately owned aircraft or the largest jet. 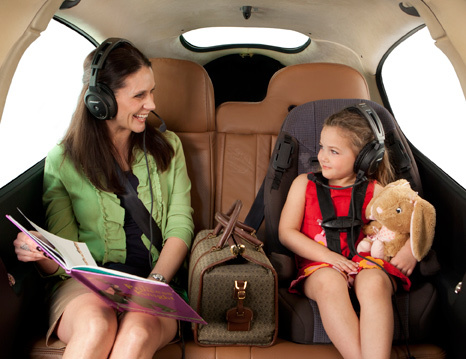 In small airplanes, just like in a car, the rear seat is the safest place for children to sit. Child safety seats can and should be used on small airplanes during every trip but, up until recently, the lower anchors and tethers (LATCH) systems that are present in cars manufactured since 2002 have not been available in small airplanes. LATCH systems improve child safety by including tethers to reduce head excursion and by making the child seats easier to install correctly. That is why I was pleased to learn that one manufacturer, Cirrus, has broken new ground by making LATCH systems available in the rear seats of its 2012 SR-Series models. I am heartened to see companies raising the bar on occupant safety for children and making it possible for all occupants to have a safer way to travel. Every year for the past nine years, the Advocates for Highway and Auto Safety have provided us with an invaluable tool with its Roadmap to State Highway Safety Laws. This annual report card grades all 50 states and the District of Columbia on their performance in adopting 15 basic traffic safety laws. It identifies key goals and gauges progress on these laws that have been proven effective in reducing roadway fatalities and injuries. On January 11th, I had the pleasure of speaking in support of this year’s report when it was released at a Washington, DC press conference. The NTSB commends the Advocates for providing policy leaders and the public with the critical information needed to effect meaningful changes that directly result in saving lives and protecting vehicle occupants. It is all about setting goals, providing tools, and most importantly, taking action. Strong laws are fundamental to transportation safety. While we may debate the role of government and its responsibilities to the nation’s citizens, one thing is certain. The safety of the traveling public is an elementary function of government at all levels and this is particularly crucial in the state legislatures. Motor vehicle crashes are responsible for more deaths than accidents in all other forms of transportation — combined. The numbers are staggering. In 2010, there were 5.4 million crashes; 32,885 people lost their lives and more than 2.2 million people were injured. Aside from the tragic cost to human life and personal injury, this came with a $230 billion pricetag to the nation. Advocates, the NTSB, and many others believe that America can, and must, do better. As we begin the new year, we are grateful to the Advocates for highlighting the states that are raising the bar on highway safety because they provide best practices and examples of what can be achieved. We should also thank the Advocates for taking on the difficult task of bringing attention to those states that lag behind. With inaction, precious lives are at stake on our highways. With the Roadmap in mind, let’s all resolve to make 2012 the year that we take the action, use the tools, and achieve the goals necessary to reach our destinations safely. There are so many events for my generation — the assassination of President Kennedy, the Space Shuttle Challenger explosion, 9-11— that are indelibly ingrained into our memories. One that is particularly poignant for me are the images of the January 13, 1982, crash of an Air Florida Boeing 737 in Washington, DC. 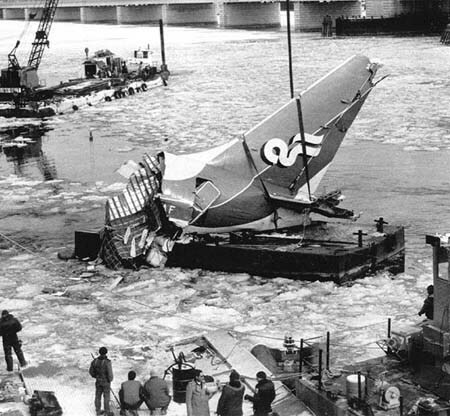 The 737 had just departed Washington National Airport and, unable to climb, crashed into the 14th Street Bridge and plunged into the icy Potomac River below. I remember right where I was when I learned the news. It’s hard to believe it was 30 years ago today. I was a new a pilot for Piedmont Airlines. We flew out of Washington National Airport earlier that morning, planning to return later that evening. It was snowing hard for most of the day, though we got out before the heavy snow began. After we departed, the airport was closed off and on while snow plows busily attempted to clear the runways. Air Florida Flight 90, like many others, was late departing. The one thing that made this flight different than others, however, was that the relatively inexperienced crew made fundamental errors in dealing with the snow — errors that ultimately led to the loss of their lives and those of 76 others, including four people in vehicles on the bridge. Much has changed in the decades since then to improve aviation safety. Advanced deicing fluids are now used to provide additional protection against icing while on the ground. Flight crews have specific guidance on how long that fluid can be expected to provide adequate protection, unlike in those days when it was merely an educated guess. Crews are taught how to communicate more effectively, skills that the NTSB found were sorely lacking in the case of Air Florida Flight 90: the first officer was trying to communicate that something wasn’t right, but he kept second-guessing himself and the captain ignored his muddled attempts to communicate. As you may have read recently, U.S. air travel has never been safer. Even still, there is more that needs to be done. Three years ago this week, the headlines of a national newspaper boasted that there had been no fatalities onboard a U.S. airline in the previous year. By the end of the week, headlines across the world were filled with news of the “Miracle on the Hudson” – the US Airways plane that made an emergency landing on the Hudson River adjacent to New York City. Fortunately, there were no fatalities, but it underscored that we must not rest on our laurels. Further stern reinforcement of that message came four weeks later, when Colgan Air crashed on approach to Buffalo, claiming 50 lives. We at the NTSB have a saying: “From tragedy we draw knowledge to improve the safety of us all.” With the Colgan accident, and many others the agency has investigated in the past 44 years, the NTSB identified ways the U.S. air transportation system could be further strengthened. That accident also brought about profound and unprecedented legislation aimed at filling holes in the system’s safety. Despite the fact that Congress has mandated these changes, however, the FAA still has not implemented many important aspects of the legislation. Although the FAA is to be applauded for publishing a rule on fatigue — a rule also mandated by Congress as a result of the Colgan tragedy — we are still awaiting FAA action on several NTSB recommendations. Right before Christmas, for example, the DOT Office of Inspector General released a report highlighting that more needs to be done regarding pilot training and proficiency programs — items the NTSB highlighted in the wake of the Colgan crash. There was another tragic transportation accident that also occurred that snowy January day in Washington — one that perhaps was eclipsed by the publicity of Air Florida Flight 90. About 30 minutes after the Air Florida accident, a Washington subway train derailed, claiming three lives. Since that accident, the NTSB has continued to press for safety improvements on the Nation’s capital transit rail system. While the U.S. transportation system enjoys a strong safety record, we at the NTSB continue to push for improvements. We realize that our system is only as good as the next flight, the next subway ride, and the next trip on any of our Nation’s modes of transportation. This past weekend I attended the American Bus Association’s 2012 Marketplace in Grapevine, Texas, a great opportunity to get up to date about advances in bus industry. At the invitation of Peter Pantuso, ABA’s President and CEO, on Sunday I addressed the Bus Industry Safety Council (BISC) and participated in a roundtable for Women In Buses Group. In talking with attendees about driver fatigue, I learned about an innovative sleep apnea screening program conducted by GO Riteway Transportation Group in Wisconsin. On distraction, I learned that most bus and tour operators have established policies prohibiting bus drivers from texting and using cell-phones while operating the bus, except for emergency situations, and many operators have had these rules in place for years. 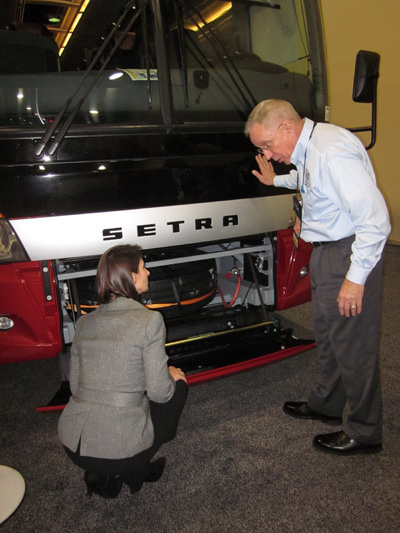 I saw emerging safety technologies on buses on the showroom floor. MCI, Prevost, Setra, and VanHool all had motorcoaches on display showing advanced technologies including integrated lap/shoulder belts at all passenger seating positions, enhanced driver protection systems, electronic stability control systems, fire detection and suppression systems, anti-lock braking systems, and traction control systems. In addition, many of these companies have systems to alert drivers to unintended lane departures and to avoid or prevent collisions. Manufacturers are working to incorporate these technologies into the vehicles so that the driver’s workload is reduced by the technology, not increased. Further, many in the industry are making these improvements voluntarily, in the absence of government mandates or requirements. Motorcoach travel is very safe, but we know we can make it even safer. If we focus on improving bus operations and occupant safety as well as addressing fatigue and distraction, we can not only chase, but reach, our goal of zero accidents. The loss of a loved one in a transportation accident is a tragedy beyond words. Knowing that the process of identifying them is being done by compassionate professionals from one of our federal agency partners is a small comfort afforded to family members. The Disaster Mortuary Operational Response Team (DMORT), an integral part of the National Disaster Medical System managed by the Department of Health and Human Services, has played that critical role in providing services in 14 transportation accidents since 1999. The legal requirement for conducting identifications resides with the medical examiner or coroner in the jurisdiction where the accident occurred. However, transportation disasters with high numbers of fatally-injured victims often overwhelm the capabilities of smaller medical examiner/coroner offices. Trauma, fire, and other factors can also introduce unique challenges requiring a multi-agency response to conduct victim recovery and identification. To assist with these challenges, the NTSB exercises its legal authority to coordinate resources and facilitate the identification process—with resources like those provided by DMORT. DMORT is comprised of private citizens with expertise in large-scale forensic identification responses. Team members are specialists in the areas of forensic pathology, forensic dentistry, forensic anthropology, fingerprint analysis, x-ray interpretation, and DNA analysis. Like our accident go-team, they are able to travel on short notice once notified by NTSB that their services are needed. Once on scene, DMORT personnel augment the resources of the medical examiner or coroner by providing critical expertise, logistical and operations support, and when necessary, one or more Disaster Portable Morgue Units, a forensics laboratory on wheels that are particularly useful in responding to remote accident scenes. I’ve met with numerous family members affected by the tragic loss of a loved one. And although it is easy to focus on the legal requirements (death certification, estate settlement, insurance claims) that often depend on victim identification, it is the humanitarian element that always leaves the most lasting impression. DMORT’s readiness to step forward in the wake of disaster aids us tremendously in our efforts to meet the needs of victims and their families. On behalf of the NTSB, I want to acknowledge their compassionate spirit and willingness to support this critical aspect of our work.